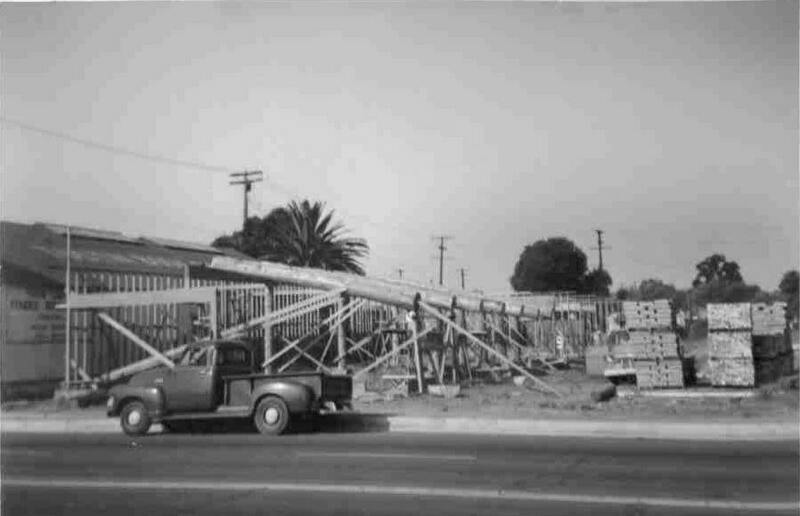 Claude T. Gilbreath, a builder in West Los Angeles, Santa Monica, and Pacific Palisades moved his operation to Orange County in 1954. 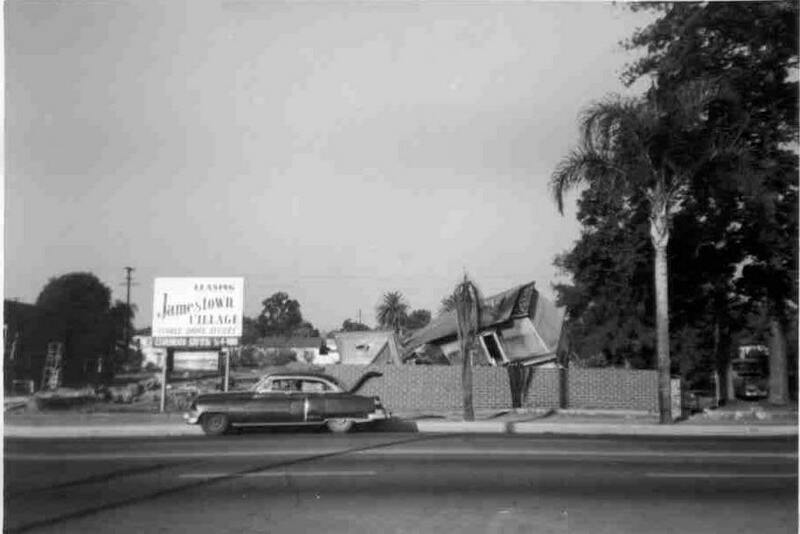 Building lots were much cheaper in Orange County at the time. In West L.A. lots had reached the unheard of price of $4000 each! 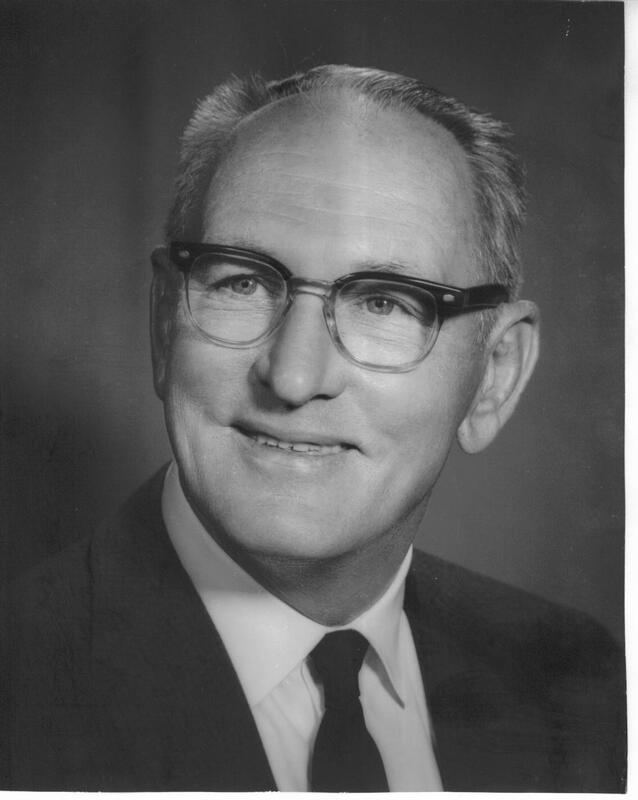 He began building custom homes on River Lane in Santa Ana, which was one of the premier neighborhoods in the county. 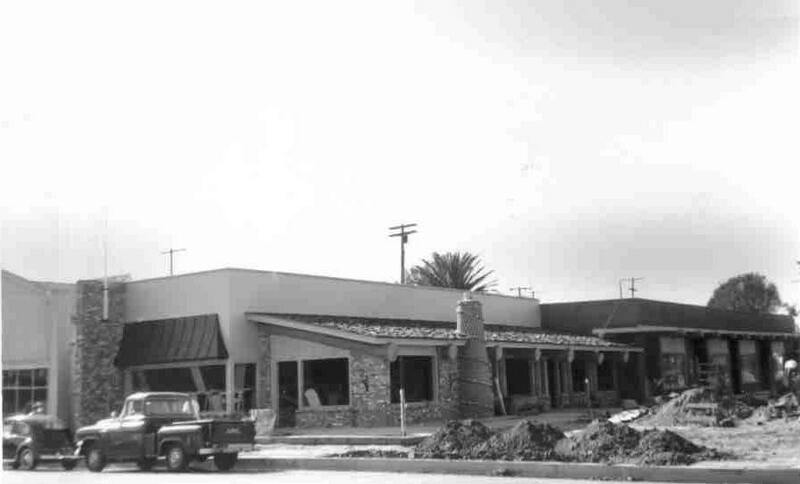 He discovered Tustin and felt that the town [1000 people] would eventually become an "elite" community in Orange County. In 1955 he bought the old Crawford house at 520 "D" Street [now El Camino Real]. The Crawford house had been built in 1885. The property had a well house and a barn, with two circa 1928 Nash automobiles in it. 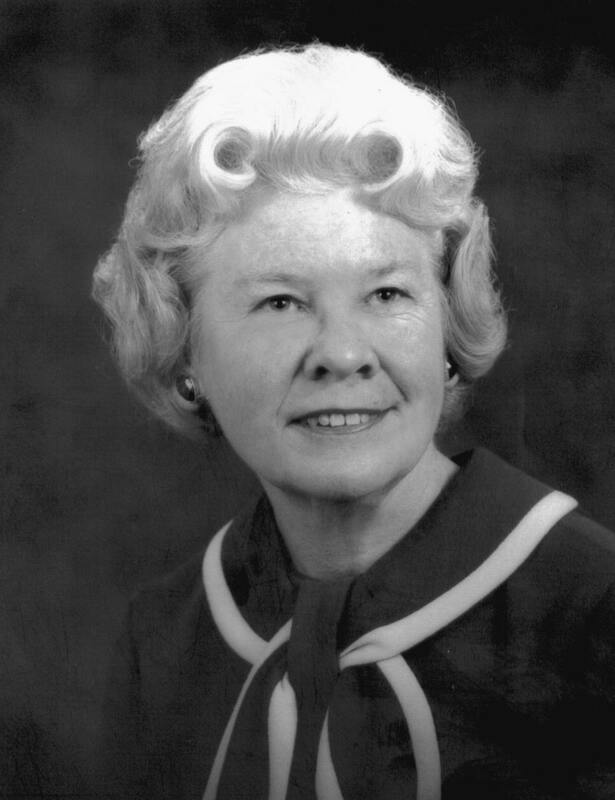 The property [about 2 acres] was mainly an orange grove, with a few avocado trees. The Gilbreath family moved into the house and lived there until 1960, when they began work on Jamestown Village. 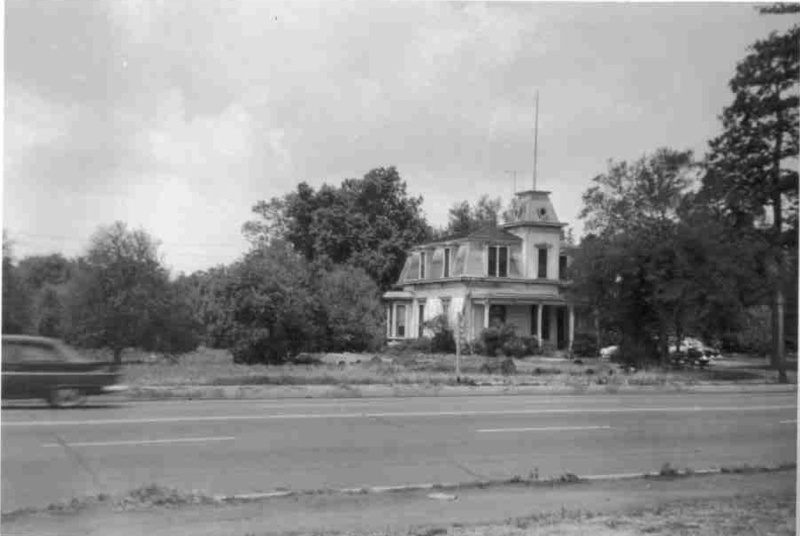 The "Crawford house" was demolished in October of 1960. [This was before the idea of historical preservation had really taken hold]. The mantle from the old house was given to Walter Knott for use at Knott's Berry Farm. Some of the other interior items were also salvaged for use in the shopping center [primarily in the shop which is now Rumors Salon]. Claude passed away in 1987 and his wife, Charlie May, in 2004. The center is still owned and managed by the Gilbreath Family. For more information on Old Town Tustin, visit: the Tustin Historical Society, Tustin Preservation Conservancy, or the City of Tustin. After completing the construction of Jamestown Village in 1962, I was in a quandary as to what to do with the oak tree that used to stand at the corner of the barn before the buildings were demolished. Jamestown Village, incidentally, is the site of the old Crawford farm house. I felt that I should do something special around this oak tree. Flowers? Everybody plants flowers. A tree house? No, kids would get hurt. Then my thoughts drifted back to my childhood in Columbia, Tennessee. There back about 1912, I used to drive my grandmother, in a horse and buggy, six miles into the country once about every three months to the Hopewell Church that she attended before the Civil War. That gave me the idea, and the solution for the oak tree. So the little tree church is actually Grandma’s church in miniature. But with the oak tree growing through the middle of it. It seats eight people, has an organ. The pulpit is made of a large rock elevated on brick up to pulpit height. The church is often used for weddings. The atmosphere here is more romantic than the large churches offer and the couple doesn’t have that big bill hanging over their heads to spoil the honeymoon. Unfortunately, in about 2000, the old oak tree in middle of the "Little Tree Church" died and had to be removed. In 2005, the area around the church was landscaped and a camphor tree planted next to the church. "Crawford" house and property prior to start of construction. The grove is cleared off and a sign appears advertising the new shopping center, just prior to construction. Framing begins on the right side of the center. Note the large logs [approximately 2-1/2 feet in diameter]. 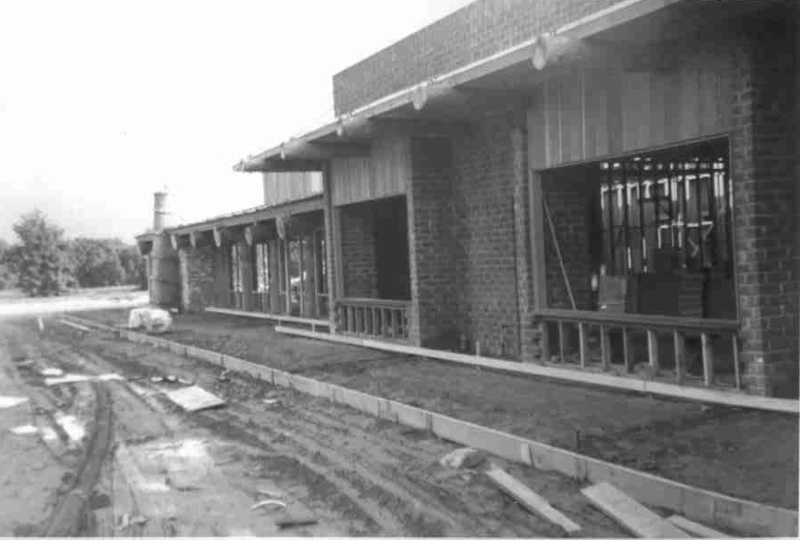 View of what is now Honda Ya restaurant and Gerda's Antiques. Sidewalks are being formed for pouring concrete. Work is almost complete on the first phase of the center. Note part of the Tustin Garage to the left.